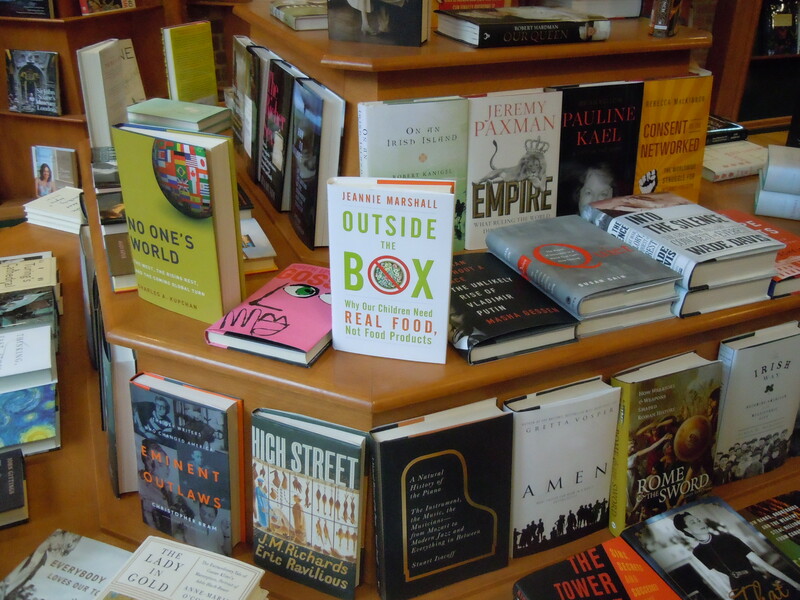 I’m happy to be back in Rome after nearly two weeks in Canada publicizing my book – Outside the Box. I loved seeing Toronto again and really enjoyed visiting Ottawa. It’s wonderful to see the increasing availability of good, fresh, local food in shops and in restaurants. I’m happy to see how receptive Canadians are to the idea of building a local food culture with children. But the best part of a journey is often going home, and after ten years Rome really feels like my home. The first thing I did this morning was go to my local market in Monteverde Vecchio to pick up some fresh vegetables. The nicest part was realizing that my favourite food vendors noticed my absence and they welcomed me back. We chatted about the weather in Canada and the fact that you don’t need a parka in Toronto in April. 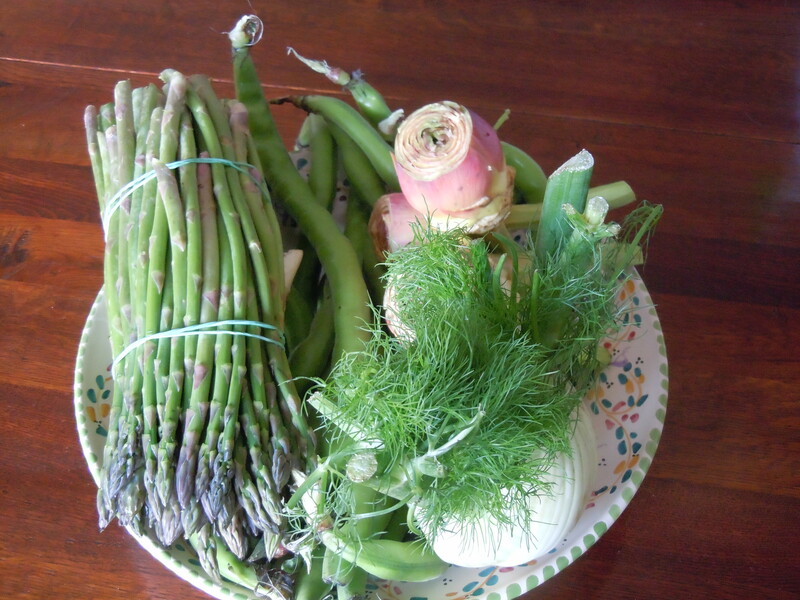 And we talked about the spring vegetables that have been growing near Rome in my absence. Loredanna’s fennel, fava beans, asparagus, and artichokes (which her daughter trimmed for me since she could see I was tired and jet lagged – she seemed to think the less time I spend today with a knife in my hands the better) will turn up in dinner tonight in some form or another – maybe a shaved fennel salad with a little lemon and crumbled parmigiano to start. Then an artichoke risotto, followed by fava beans and asparagus cooked with guanciale. It’s all fairly easy to prepare and involves minimal knife wielding. In the next few days, I’ll post some photographs and a few stories about Toronto. For now I’m going to get to work at tracking down my luggage (with a tin of maple syrup, a vacuum packed wedge of Quebec Blu cheese and a bottle of Ontario wine – not to mention ALL my clothes …), which was last seen in Frankfurt and might have taken a holiday of its own in Paris.